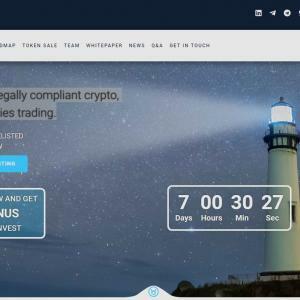 Extauri is Europe's legally compliant fiat and crypto financial platform for both users and operators. The platform is launched in Germany and Liechtenstein and approved by BaFin and FMA. Users will be able to trade utility and security coins and tokens as well as the exchange of cryptocurrencies into major fiat currencies. Above all Extauri can convert cryptocurrencies into traditional forms of investment such as stocks, funds or ETFs based on crypto and fiat. Extauri will allow it's users to hold their own private keys.